Since we're splitting the imp workforce up into different professions based on room assignments, it seems appropriate to start a discussion about what imps should be wearing. version2.. with patches! Is this more the feel? 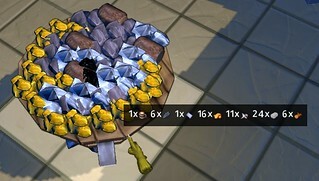 I guess next will be the forging. @Mello, have you had time to make some sketches? - Metal works room worker. And these are all for now. Even if we change the room names and add other buildings to them, I think the clothes in general would fit them. (19-02-2014, 04:53 PM)Mastergoose Wrote: Thanks everyone! I'm not sure what kind of suit would fit this work and atmosphere the best. Any suggestions? (19-02-2014, 08:10 PM)Seriously Unserious Wrote: That looks great but it also looks too modern for the setting. Looking at that helmet, I find myself looking for the torch, arc and steel he's welding. IMO a traditional blacksmith's suit would look best for the setting. (20-02-2014, 05:03 PM)Mello Tonin Wrote: Yeah that does look pretty cool. I'm torn between the idea of keeping everything low tech, and stretching the theme slightly kinda like Steam Punk. It still has the look of low tech, but has a higher level of functionality like Dwarven Gyro-copters from Warcraft. Definitely needs to have a leather apron though like SU posted. 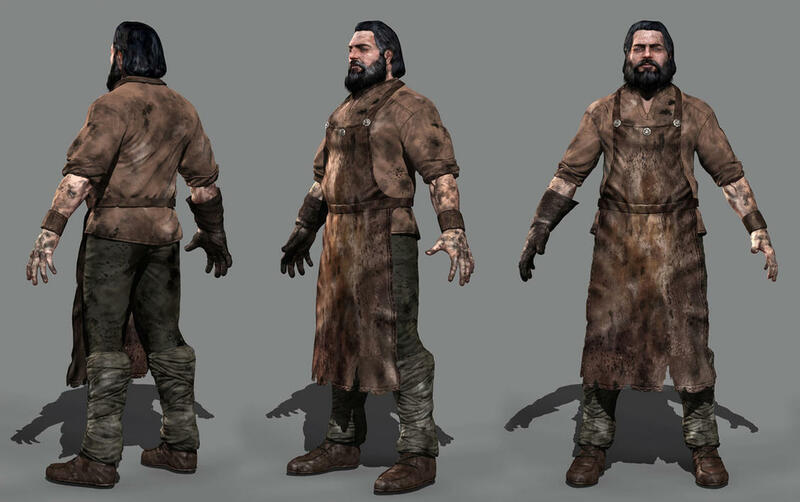 Maybe not tattered, and black instead of brown as the one in the image looks more like a tanner or a butcher IMO. Yup. that's why I broke this discussion off of that other topic, which IMO should be about how creatures prioritize their jobs, not what they look like. This is a much better place to discuss it since it's not all OT postings, and therefore hard to find later. Current time: 20-04-2019, 04:30 AM Powered By MyBB, © 2002-2019 MyBB Group.